Kristen Kane, of Sacramento, was appointed chief counsel for the Office of Tax Appeals, by Governor Brown on October 2, 2017. Prior to this appointment, she served as deputy director of the California Competes Tax Credit Program at the Governor’s Office of Business and Economic Development (GO-Biz). 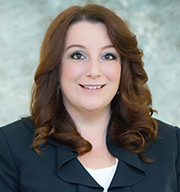 Kane served as tax counsel at the California Franchise Tax Board from 2010 to 2016, where she was a graduate legal assistant in 2008. She was an attorney at the Legal Aid Society of San Diego from 2009 to 2010. Kane earned a Master of Laws degree in taxation and a Juris Doctor degree from the University of San Diego School of Law.